Novellas in November is being hosted by Rick at The Book-A-Week Project and co-hosted by Laura at Reading In Bed. There is also a Novella November going on over at Poppy Peacock Pens. I thought it would be fun to try to fit some in this year. Here are the first three I could get my hands on, while I wait for some of my other requests to come in (I might be having my own little Novellas in December…). This was my first experience reading Albert Camus, so before I started writing this I got adventurous and googled the book and the author to dig deeper into the meaning of it all. But, then I thought, not worth it – there was just so much. So, I’m just going to say what I think of the book based on nothing; just me having read the book. The Stranger starts out with the death of the protagonist’s mother. Meursault doesn’t seem to be upset, but I thought maybe he was numb and that his grief would show up later in the book. In fact, I thought it might be about Meursault dealing with his grief (I really didn’t know anything about this book going in). But, in the end, he just didn’t seem to care. And, he doesn’t seem to care about anything that goes on; he’s fine with his neighbour’s abusive behaviour of his dog; he doesn’t care that his other neighbour beats his girlfriend. Even when his own girlfriend asks if he loves her, he tells her that he doesn’t but that he’d marry her anyway if she wants. The shocking thing is that she decides she wants to. That evening Marie came by to see me and asked me if I wanted to marry her. I said it didn’t make any difference to me and that we could if she wanted to. Then she wanted to know if I loved her. I answered the same way I had the last time, that it didn’t mean anything but that I probably didn’t love her. Because of his indifference to everything, he ends up going along with his friend/neighbour (not out of friendship, but only because he has nothing else to do), and ends up getting into trouble. Unfortunately, though, because he doesn’t care about anything, I didn’t care what happened to him (and he didn’t seem to care what happened to himself). And, that’s about it. It’s not that I didn’t like the book, but only that I had a hard time caring about it. I’m sure that if I dug deeper into the meaning of the story, I would find some interesting things to think about, but on the surface that’s all there was for me. … for the first time, in that night alive with signs and stars, I opened myself to the gentle indifference of the world. Finding it so much like myself – so like a brother, really – I felt that I had been happy and that I was happy again. He was a strange guy, I felt sorry for him, I wanted to shake him up somehow, I wanted to warn his girlfriend away, and I wanted to punch his friend for being such an idiot. I didn’t know this book existed until I was doing a quick sweep of the library shelves looking for thin volumes that I might be interested in for Novellas in November. Bonus that it’s Canadian. Except that I didn’t like it very much. A lot of it went over my head, but from what I could grasp it was basically about a mentally unstable middle-aged businessman looking for ways to numb his life; pill popping, drinking, and cheating on his wife. This is nothing new, really, except that this guy’s biggest fault was that he liked young girls, and in particular a 15-year-old girl in his son’s class. Even though she made the first advances, he should have… well, we all know what he should have done. But, of course, he did the opposite of that. None of it ends well. Luckily, it was only 111 pages. Pills, they answered questions. Booze only asked why, how did this happen and do you love me? Pills replied with a pretty smile, a glossy kiss, a powdery happy softness. The wonderful muted fear, the knowledge, the anxiety and starvation and slaughter just far enough from the perverse, an itch at most. That was the chemical. They answered; yes, they answered, it’s okay; and something that sounded like “I love you” too. … it was hard to choose between that which kept you safe and that which kept you happy – and tormented. Quite a few people on Goodreads have given this book 4 or 5 stars, so I’m either missing something or it just wasn’t my thing. The writing was good, though, and there were some good lines and passages. I would love to know if anyone else has read this, and what they thought of it. On Goodreads the page count for this book is 336, but the copy I have is only 160. Huh. We’ll go with my count and call it a novella. Believe it or not, this is my first Agatha Christie novel. All I knew going into it is that most people like her a lot. And that she is one of Eva’s go-to authors. I can see why, especially if you like mysteries. 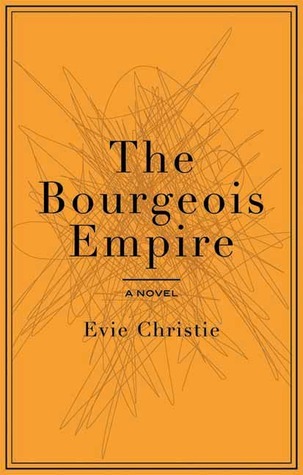 I was surprised by how much insight into humans and their interactions Christie was able to pack into such a short book with so many characters. And, I really didn’t know who had done it until the end. At one point or another I suspected everyone on the list. Frightening, really, how little you might know a person after living in the same house with them. Most successes are unhappy. That’s why they are successes – they have to reassure themselves about themselves by achieving something that the world will notice… The happy people are failures because they are on such good terms with themselves that they don’t give a damn. I don’t think Sparkling Cyanide is one of her better known books (I had never heard of it, anyway), so I’m curious to try another one to see how it compares. One thing that did strike me is the dated feel of it. You can tell it was written a while ago, because of the obvious stereotypes around gender, class, and people ‘from away’. But, that actually made it more interesting to me. So, how about you? Have you read any good novellas lately? Do you have a favourite? 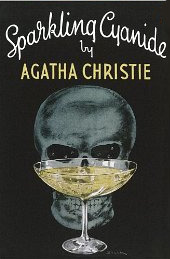 What about a favourite Agatha Christie novel? I haven’t read any Camus, but your review made me laugh. I have probably read Sparkling Cyanide, though. Very pleased to find another novella thread. I’ve been following Poppy’s for ideas partiularly after working my way through a few doorsteps that could do with a bit of shaving. Apologies for the mixed metaphors there! Her posts have been great for ideas. I’m making a list of them for next year! You might be better off not having known anything about The Stranger going in and then not thinking much about it after you were done. I had to talk about that novella for about 3 months in a French Lit class once, and I can’t say my understanding of it increased at all during that time. 😉 I didn’t care about it too much either. Oh, good. I’m glad to hear it wasn’t just me. I felt like I should have had something profound to say, but I just didn’t care enough about it. Ha, the next three months were about Waiting for Godot. That was even worse! Many thanks for the mention & link Naomi – do like your 3 choices – and look forward to anymore – I too could go on through December (and beyond) as I haven’t quite managed to read all I set out to… often found the ones I have read so powerful I either have to reread immediately or need space to digest fully before moving on. I had no idea there were so many good ones out there until I started looking. And, your novella posts have been giving me some great ideas for next year! Those Persephone books look good – I have heard them being praised all over the place! I think I remember that in the past you’ve had one big post about all your novellas at the end, right? I can’t for it – I’m sure I’ll be adding even more to my list for next year. I’ve never read any Camus, and I don’t think I’d be able to care about a protagonist who doesn’t care about himself either. I haven’t read any Agatha Christie either (!!) but Sparkling Cyanide looks like a fun place to start! Get on it, Karen! Agatha Christie is the best! That’s interesting to know about The Stranger, Lynn. I did start looking it up after I read it, but my time has been limited lately, so I decided to abandon my efforts. Maybe someday I’ll look into it more thoroughly, or even try another of his books. I don’t know if I’ve ever read a single novella. But, how many pages does it have to be to be a novella? I’m thinking maybe The Beautiful Bureaucrat was one…I think it was around 190 pages – and fantastic!! And, I understand how it would be hard for you to care about a character that cared about nothing! I felt that way a bit about the main character (I’ve now forgotten her name) of Hausfrau. I felt like Anna seemed to care that she didn’t care. Like her destructive behaviour was a way to try to feel things. This guy seemed perfectly content not to care. But, I can see how her attitude could make you not care about her story. I can’t wait to read The Beautiful Bureaucrat! I’m so happy you finally read an Agatha Christie! Smart to start with a little one (although I don’t think any of them are more than 270 pages) just in case you hated it. Her novels are all so delicious. They are very much of their time but I think that adds to the charm. Except on occasion when some of the language is a little shocking – I’m mostly talking about use of the N-word. I always feel like I got slapped in the face when I read that word. I’m assuming that this one didn’t have any of her detectives in it? You should take Miss Marple or Poirot for a spin next time! No detective, no. Miss Marple is the one I’ve heard of. It would be fun to give her a try! I just picked up Three Blind Mice and other stories from the library today. Have you ever read any of her stories? I’m curious to see how she packs a whole mystery into a short story. I haven’t read any short stories. Short stories, in general, aren’t my thing. At least that’s what I always tell myself. I did read an anthology of PG Wodehouse shorts once. That took forever though. I guess if I were to give them a shot, Agatha Christie shorts would be the way to go! I didn’t think I would like Hercule Poirot, but I do. I love him. Tommy and Tuppence are good too. I love novellas. “Nights at the Alexandra” by William Trevor and “Old Man and the Sea” by Ernest Hemingway are my favorite. 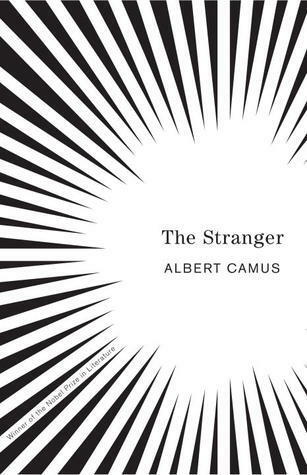 I read a lot of Camus in college and it started out with “The Stranger”. It was an amazing book. I felt like Meursault had his own of grieving. And it wasn’t the way everybody else grieves. Because of his mother’s death, he has isolated himself from everyone and everything else. Also Camus believed in existentialism at the beginning of his career. He was trying to portray an authentic person, saying that a lot of us fake it through. That here was a man who is not faking it. He doesn’t care about what others care about, and he isn’t going to show it. Camus’ “Myth of Sisyphus” was the book by Camus that really changed my life. It isn’t in the easy way but the hard way that we are most alive. Thanks, Don! This helps me see it in a whole new way. I knew there would be more to it, but now you (and Lynn) have done some of the work for me. 🙂 However, if he doesn’t care about what other’s care about, what DOES he care about? There seems to be no hint of him caring about anything. If that’s living authentically, then I’d rather fake it. Next time I read something by Camus, I will try to make it “Myth of Sisyphus”. I loved Old Man and the Sea, but it’s been so long since I read it that I think I’ll read it again sometime! “Nights at the Alexandria” made me fall in love with William Trevor. He may be the best short story writer alive. As much as I love Alice Munro, I love Trevor even more. The interesting thing about Trevor is that I don’t much care for his novels. He seems to be like Hemingway in that sense. I can take Hemingway’s novels or leave them, but I love his short stories and “The Old Man and the Sea”. One of the things I love about Trevor is that his characters are from every area of Irish society. So many writers limit their characters to one profession. Not Trevor. His characters can be burglars or car mechanics or tourists or piano tuners, but they all have one thing in common. Trevor gives them a life, and dignity, that is worthy of the character. And he genuinely seems to care about them. I would recommend his book of short stories “After Rain”. The title story especially. As far as Camus is concerned, he seemed to move away from absurdism as he grew older. One of the great things about Camus was his willingness to speak out against tyranny when he saw it. In the fifties, he moved away from the political views of Sartre and many of his other liberal friends as they gave absolute support for Stalin. There are some that believe he was on his way to converting to Christianity and would have if he had not died in a car crash. He is definitely a complicated writer but I think he is one of those writers who would have a grasp of the political terrorism our world is suffering from. In some ways, he was ahead of his times and would feel comfortable living in our world. If he had a philosophy, it might be humanism in the best sense of the word. And, I’ve got After Rain on my to-read list now, as well as Nights At the Alexandria, although I can’t find that one on Goodreads. Might it be in one of his short story collections? You’re not alone in that reaction to Camus. I remember reading it when I was sixteen (simply because I wanted to show off!) and being totally baffled by it. As for Christie, well she does have a habit of springing info on you at the eleventh hour that you couldn’t have known. thats my excuse for never being able to guess who did it …. I’m glad to hear I am not alone. It was interesting, though, and I’m glad I read it. So that’s her secret, is it? I will have to be paying attention to that next time I read a Christie novel! I don’t tend to love short stories, so I’ve actually never picked up a novella! I do love Agatha Christie though, so I’d definitely consider giving her novella a try. I usually feel the same way about short stories (with exceptions), but so far I find that most novellas are long enough to feel more like a novel.